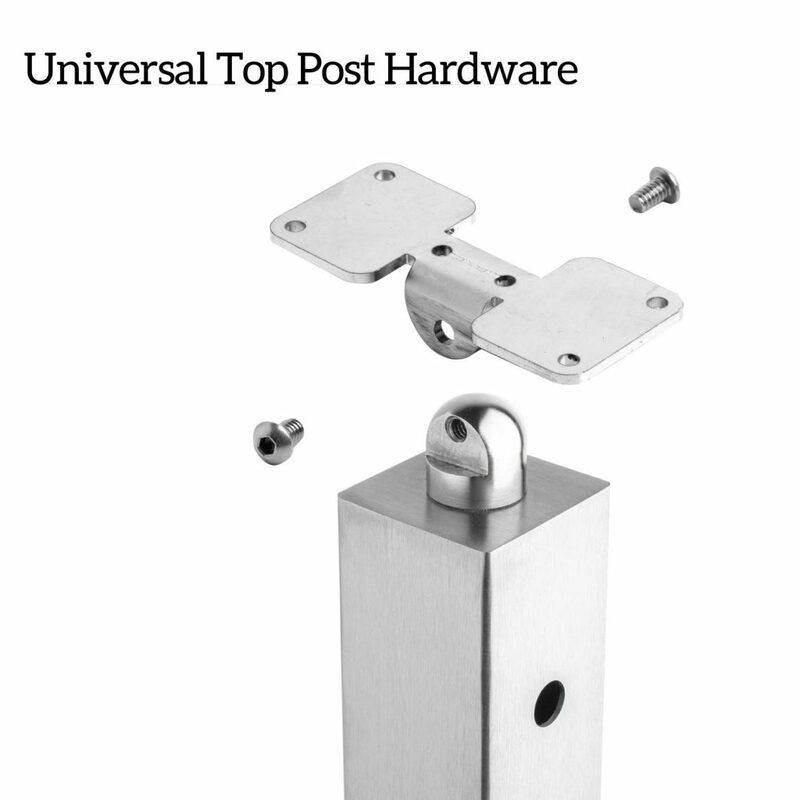 The above products are recommended for installation or mounting of the Surface Mount Universal Top Square 2" Rod Railing Posts. “C” – The “C” post is designed to be a level corner post where one run of rods ends, and another begins (going left or right depending on your selection). It has 5/16″ holes drilled on all four sides.. Recommended fittings: “Level Tension End Kits” (36″ – 10 kits, 39″ – 11 kits, 42″ – 12 kits) & “Level Fixed End Kits” (36″ – 10 kits, 39″ – 11 kits, 42″ – 12 kits). “I” – The “I” post is designed to turn a corner from an angled staircase and change heights to a level balcony turning left or right. It has 10, offset* holes drilled on opposite sides of the post, and 11 (39″) or 12 (42″), level holes drilled on an adjacent face. When determining whether you select an LH (left-hand) or RH (right-hand) “I” Post, determine whether your run will be turning left or right as you walk up the stair. Then choose the corresponding direction when selecting your post configuration. With our rod system, your best solution would be a double-post situation where your stairs transition from an angled run to a level run. You’ll want a “B-Down” post at the top of your staircase to terminate your angled run, and an “A” post to begin your level run. If you have additional questions, please give our team a call at 1 (866) 226-6536. Hello– I am considering this product as a retrofit to an existing deck and stair, which has 4×4 posts (nominal 3.5″ x 3.5″): is this product suitable for this application? Our rod railing system is the perfect option for a retrofit project. To get a better idea for the scope of your project, we recommend calling in to speak with one of our stair & railing experts. You can reach us at 1 (866) 226-6536. 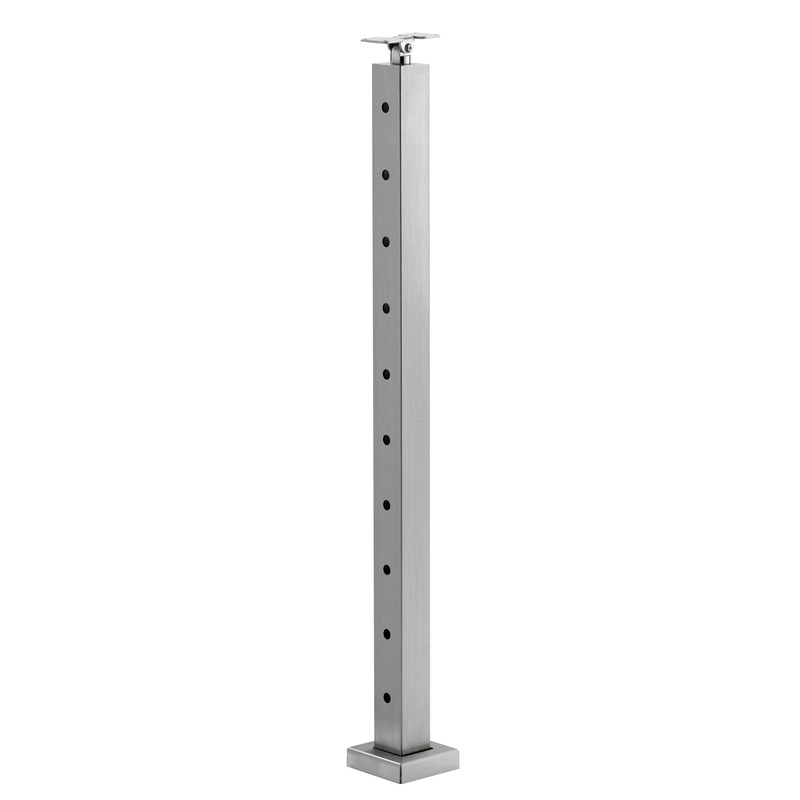 Is it possible to get posts less than 36″ high? I am restricted on height as the top step with the railing only has 36″ clearance to my hallway ceiling. I need my railing to be no more than 36″ to the top of the wooden handrail. Thanks for the question Lynne. We can do that, but it will be custom pricing and an engineering fee. You can give us a call at (866) 226 6536 to find out what that will be.